Next week in Vancouver, Washington at the Hilton. Go here for info. Goodbye Schumachers. You Were a Good Citizen for 112 Years. The legal fight goes on, however. Click on image to go help their legal defense fund. June 16th you can meet the Senator and his special guest, Mitch McConnell for a summer river cruise on the Willamette. h/t to 5th listener Lew who runsdown Washington state and other John Edwards’ inspired anti war rallies on the one day we celebrate the men and women who gave their lives to make us free. Lookie at what some of the fruitbats did in Washington. They switched out American flags for swastikas. They still don’t get it. 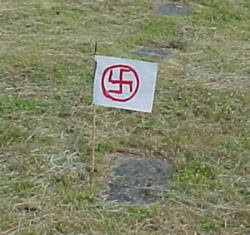 …vandals not only took American Flags off of the graves of Veterans and burned them, but replaced them with hand drawn Swastikas both on Sunday and again on Monday, Memorial Day! Here’s Blackfive’s Uncle Jimbo “crashing” (aka videotaping) an anti war rally. Good stuff. I watched most of the PBS National Memorial Day Concert from our nations capital tonight. I’ve watched it many times in recent years. I just can’t help myself I guess. The actor, Charles Durning always shows up for this concert. Just as strong, and brave as he was that day on Omaha beach during WWII. Admittedly, his memory is faltering a little, but his determination and courage will never fade. I was especially moved by a mother’s lette to her son, now buried at Arlington National Cemetery . Her 20 year old son… a casualty of our war on terrorism. She visits him every week… and writes to him, sitting quietly next to his head stone. Her letters, read by actress Dianne Wiest, opened her heart and grief to the nation. They also showed the hero she believes her son to be. And the hero our nation so dearly needs in these times. I have two great uncles who are veterans of World War II. Uncle Larry passed away many years ago. Uncle Ralph is still with us. Uncle Ralph never talked about his experiences defending our country with our family. He did however open up a little to a newspaper reporter on the occasion of his retirement as a barber in S.W. Portland. I’m certain his experiences during World War II were not all happy times. I’m also certain veterans of the greatest generation wanted to live the remainder of their lives full of happy memories. Not the memories of a horrific war. He does play a mean accordion though and is happy to play it anytime. During World War II, some people didn’t believe in killing…. or war….. at any price. They still did their part though. They worked jobs for companies that provided supplies to our soldiers and the war effort. I believe it was a matter of love of your country, and caring for our soldiers, even though they could not condone killing another person. There are no bond or scrap drives for our war on terror. Today, chances are, you don’t work for a company that provides supplies to our soldiers. But many of us still care. We do not have to go without anything today because of our war effort. Yet people forget too easily the sacrifices made a little more than five years ago. Innocent people instantly lost their lives….. because of misplaced hatred. Innocent people gave their lives, trying to save others. Brave soldiers give their lives today…… so that it won’t happen again. Other soldiers come home…broken but not forgotten. Yet…instead of supporting our troops fighting the same hatred that killed thousands of American citizens instantly on 9/11, some people want to paint America as the enemy. Just as we will never forget the fallen soldiers of wars past, we should not forget the fallen soldiers of the war our country is fighting now. And we should NEVER forget the thousands who lost their lives for NOTHING…just a few short years ago. Also, never forget the sacrifices of every single family during this war. who fought in past wars to keep our country, and our ancestors safe. Sheehan Emerges from Obscurity to Announce She’s Going into Obscurity.Still in Obscurity? Her Son’s Heroism. This is my resignation letter as the “face” of the American anti-war movement. This is not my “Checkers” moment, because I will never give up trying to help people in the world who are harmed by the empire of the good old US of A, but I am finished working in, or outside of this system. And in addition to her resignation she has decided she’ll try to be a mother to her children. The marriage, on the other hand, is kaput. Still Sheehan says while she has “almost died” trying to save the country from itself, she’s forging on …perhaps to get a job or something. I have spent every available cent I got from the money a “grateful” country gave me when they killed my son and every penny that I have received in speaking or book fees since then. I have sacrificed [my emphasis]a 29 year marriage and have traveled for extended periods of time away from Casey’s brother and sisters and my health has suffered and my hospital bills from last summer (when I almost died) are in collection because I have used all my energy trying to stop this country from slaughtering innocent human beings. Oh, did she mention she almost died? Plus she’s got some nice land in Crawford, Texas for sale. Camp Casey has served its purpose. It’s for sale. Anyone want to buy five beautiful acres in Crawford , Texas ? I will consider any reasonable offer. I hear George Bush will be moving out soon, too…which makes the property even more valuable [emph mine]. What’s her aim? 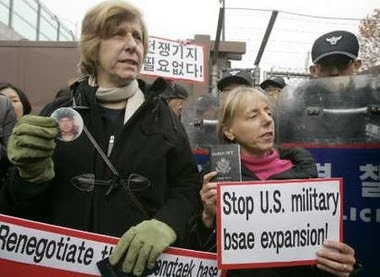 She says she resigning as the “public face” of the “peace movement.” As alert listener MV suggested, she might be headed to the opening in The View (didn’t Rosie get her talking points from Sheehan’s gang anyway?) and came out of ‘the shadows’ to announce she could use a gig. Soldiers of the 2nd Battalion, 5th Cavalry Regiment were ambushed with RPGs and pinned down and dying [ambushed by Mahdi army btw–Victoria adds]. While fighting off an attack himself, the Commander of the 2/5th, LTC Volesky, called for help. A Quick Reaction Force (QRF) was formed of volunteers – their mission was to go out and rescue the American troops. The QRF was launched. Not long after entering the Mahdi area, the QRF was channeled onto a dead-end street where the roofs were lined with snipers, RPGs, and even some militia throwing burning tires onto the vehicles. The Mahdi blocked the exit and let loose with everything they had. Sheehan’s vehicle was hit with multiple RPGs and automatic-weapons fire. Specialist Casey Sheehan and Corporal Forest J. Jostes were killed. A second QRF was formed – all volunteers – to go rescue the first. Specialist Ahmed Cason was hit in the second QRF – but kept fighting until he bled to death. Seven men died with Casey Sheehan on Sunday, April 4th, 2004. 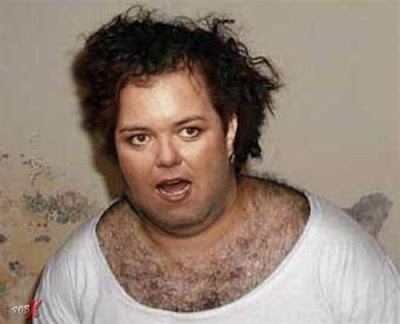 ROSIE IS OFF THE VIEW…Perhaps to Club Gitmo?